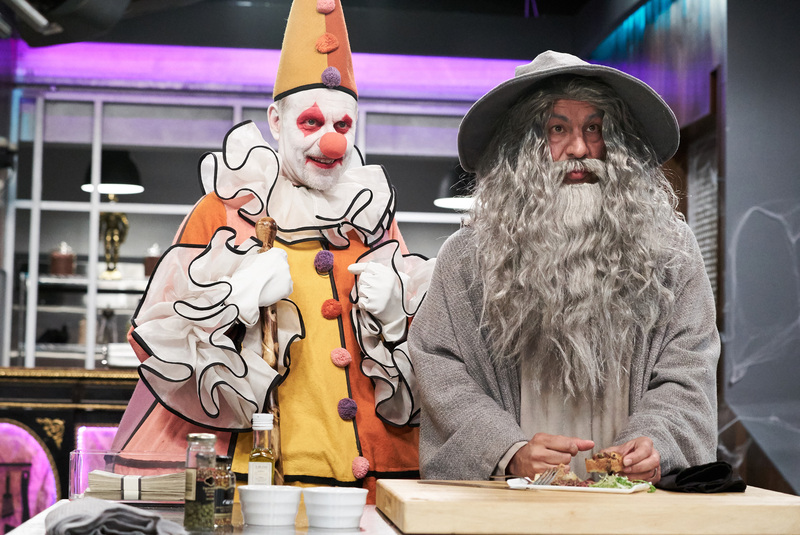 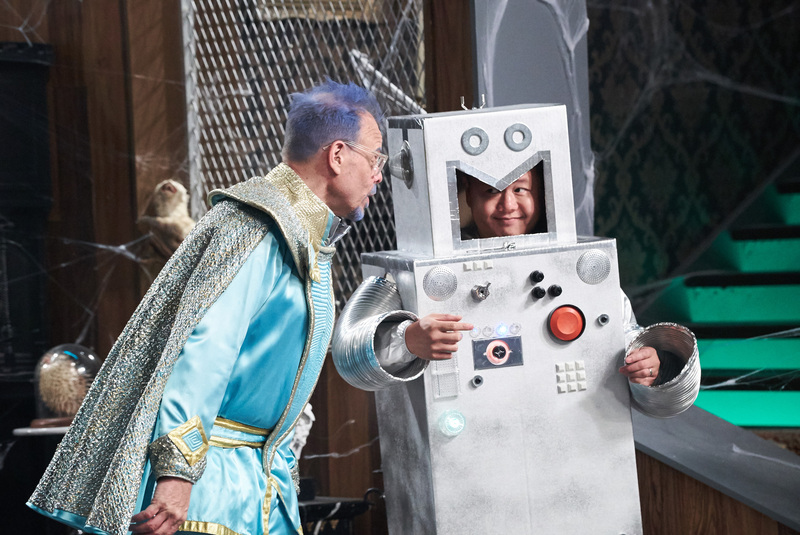 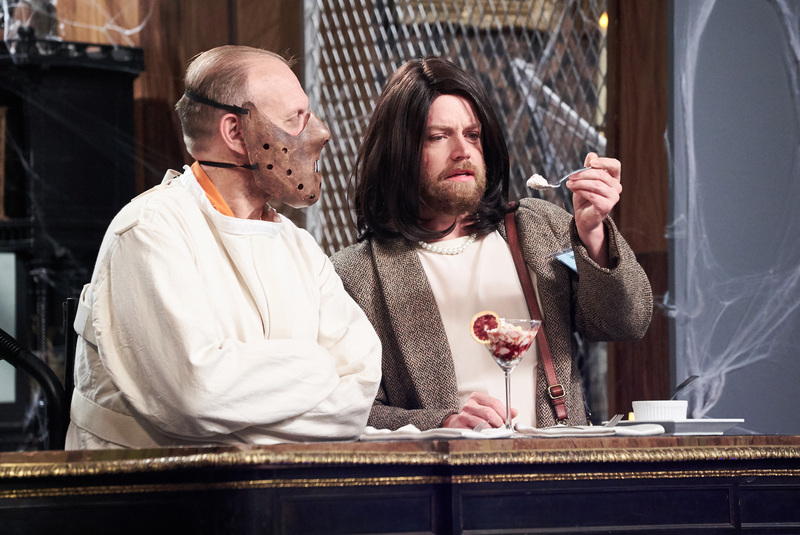 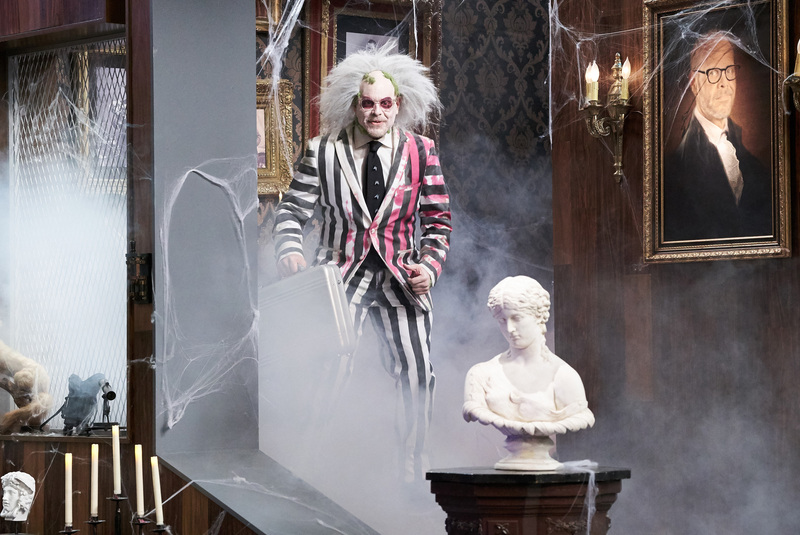 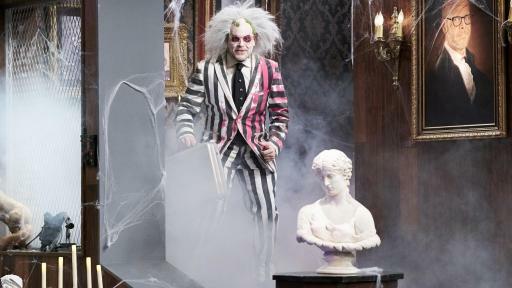 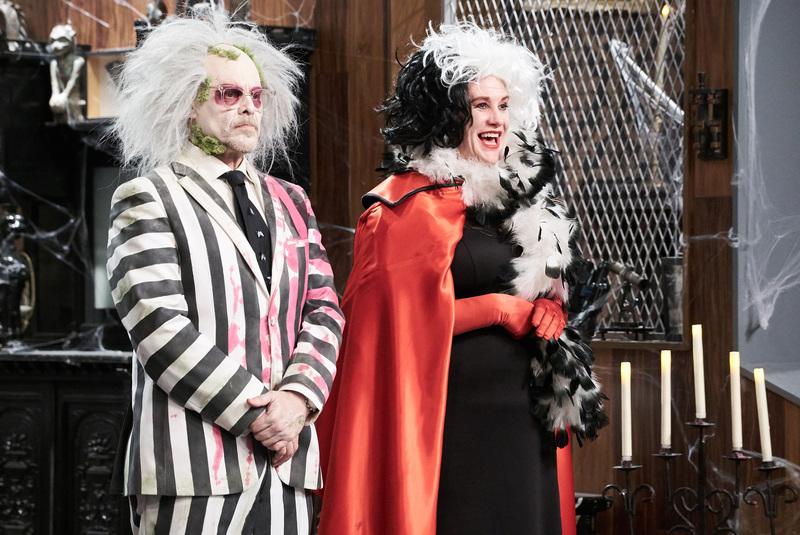 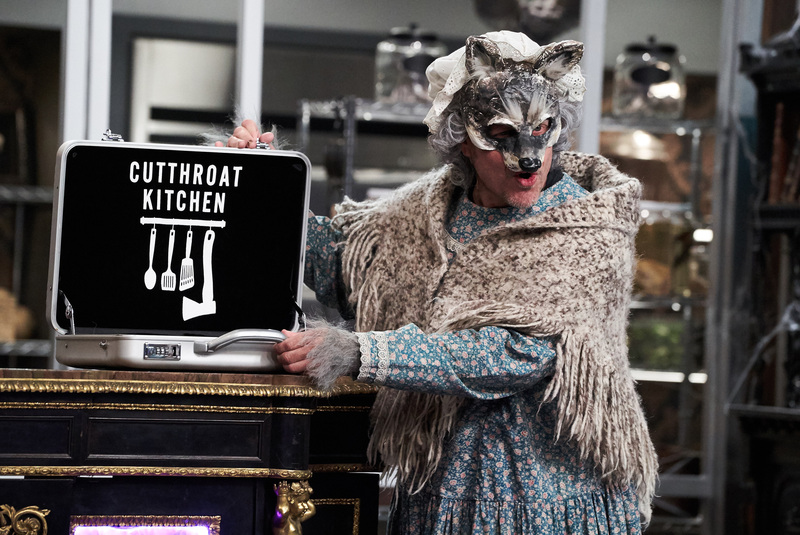 Trick or treating takes on a new meaning this fall with the five-episode primetime event Cutthroat Kitchen: Tournament of Terror, beginning Wednesday, September 28th at 10pm ET/PT on Food Network. 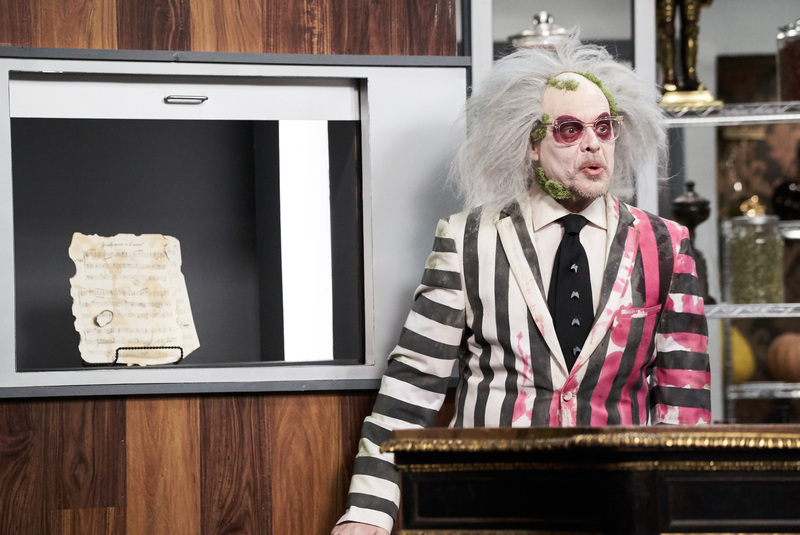 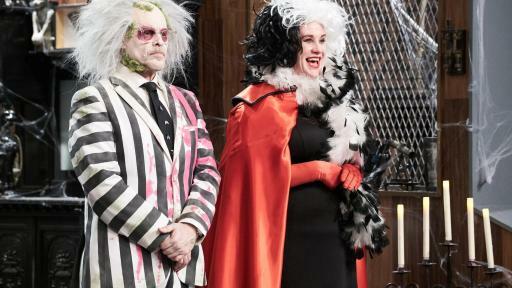 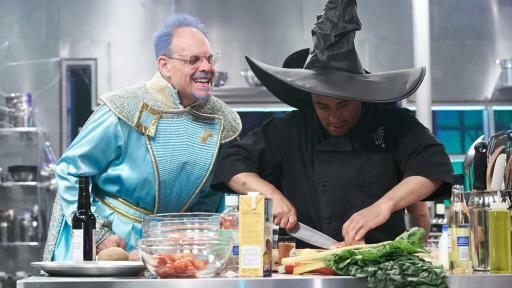 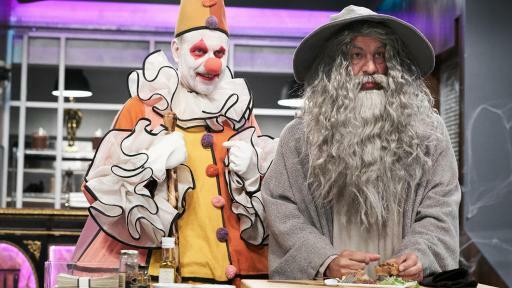 Alton Brown presides over the no-holds-barred Halloween heats, with sixteen crafty chefs cooking their way through spooky sabotages for the chance to win up to $50,000. 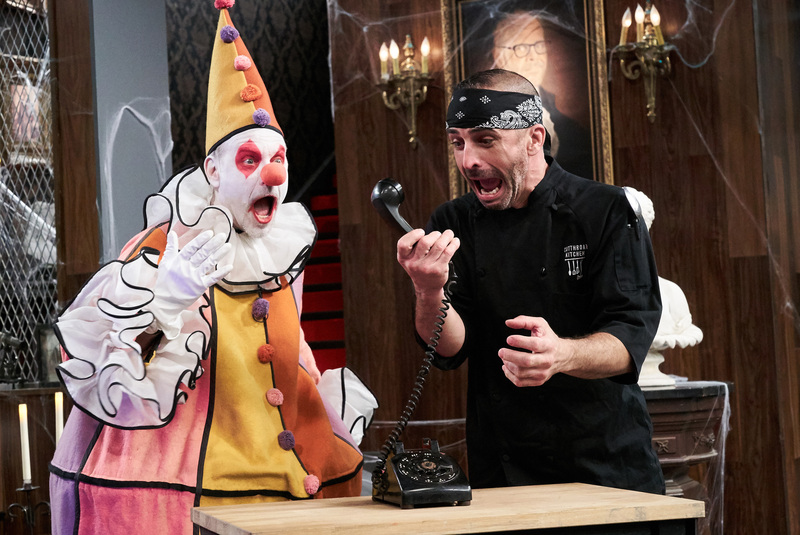 From a spider web-themed spider roll challenge to a liver and fava beans battle, the competitors must scare up their best dishes while braving witches, mummies, ghosts and zombies. 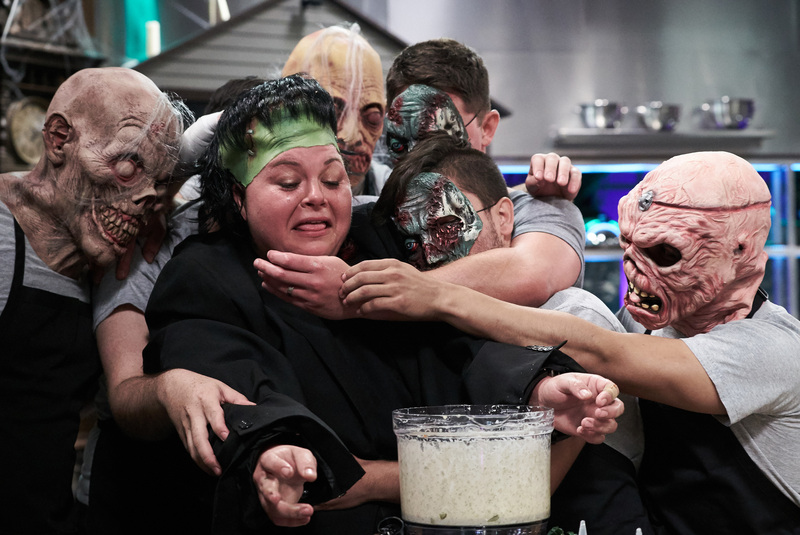 The heats lead up to a final showdown between the four winners to determine the Tournament of Terror champion on Wednesday, October 26th at 10pm. 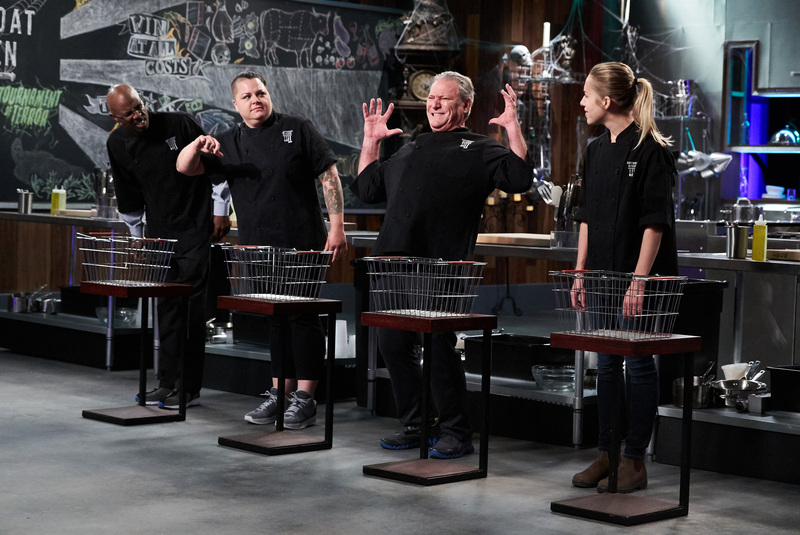 Heat one begins with a Hannibal Lechter-style liver and fava beans challenge, then the chefs must cook garlic chicken with scary movie blade fingers or knives. 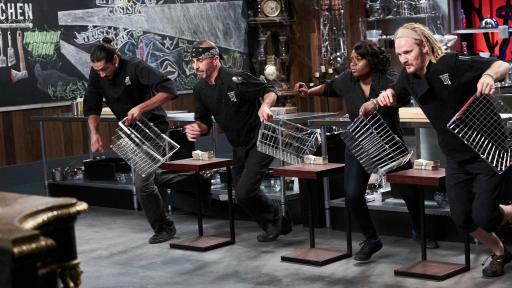 For the last round, a blood orange dessert has to be prepared with a séance board sabotage. 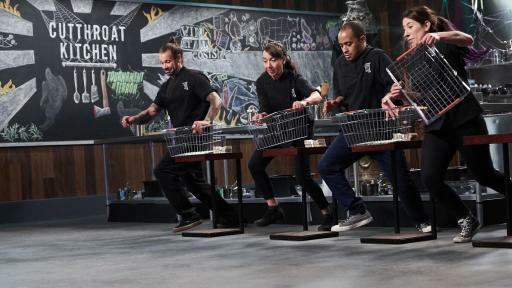 In the second heat, the chefs must make deviled eggs while wearing monster costumes, followed by a spider web-themed spider roll challenge. 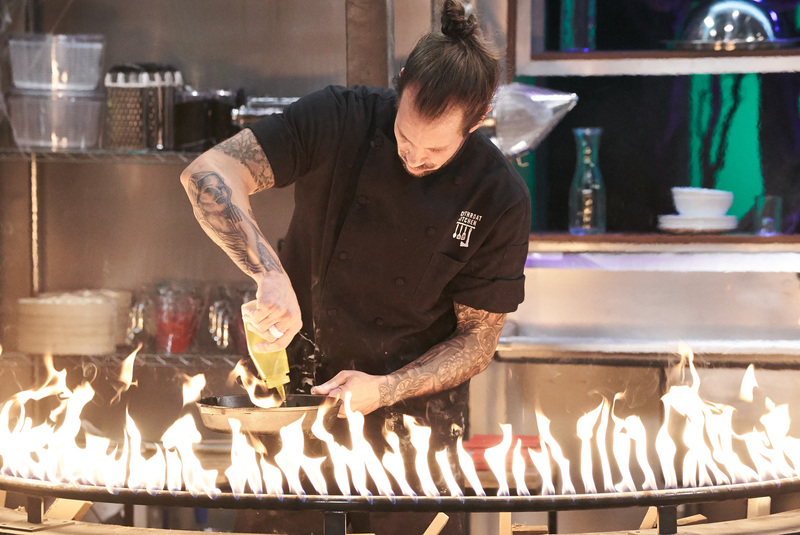 Finally, one chef has to make a flambéed dessert in a twisted kitchen. 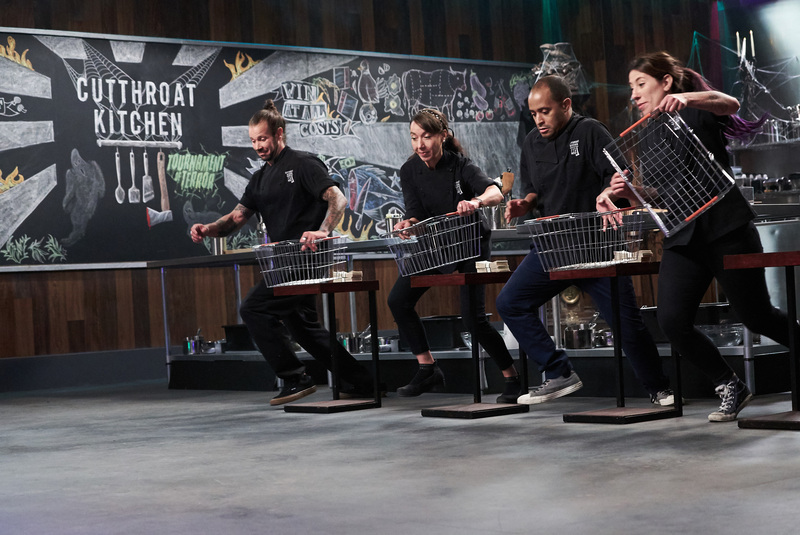 Round three kicks off with a frog’s leg challenge in a graveyard, then the chefs must make a witch’s stew while riding around on a witch’s broom. 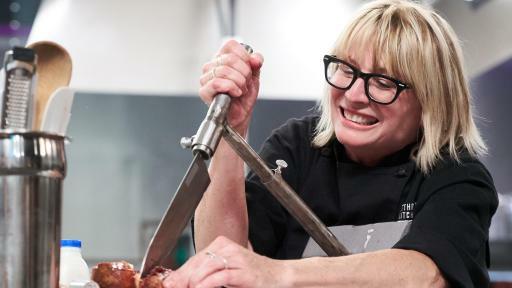 Finally, one chef has to make devil’s food cake with spooky tools. 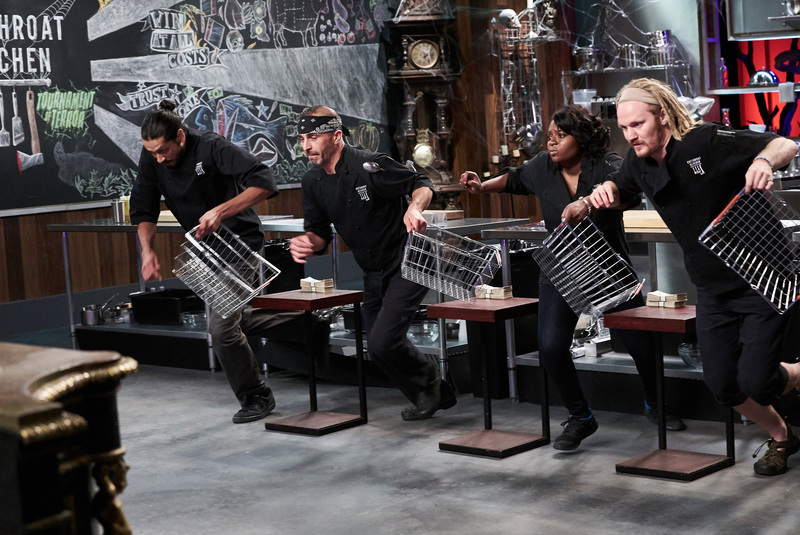 In the fourth heat, the chefs have to cut their steak tartare with deadly weapons and dig up their Fra Diavolo ingredients in a graveyard. 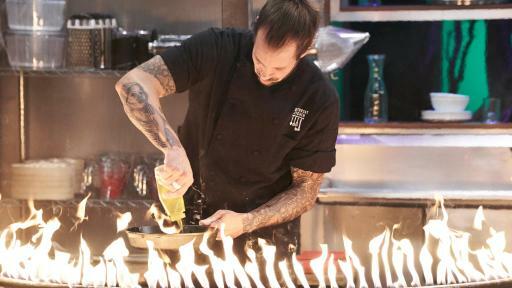 Then one chef has to make a pumpkin dessert inside a chamber filled with autumn leaves. 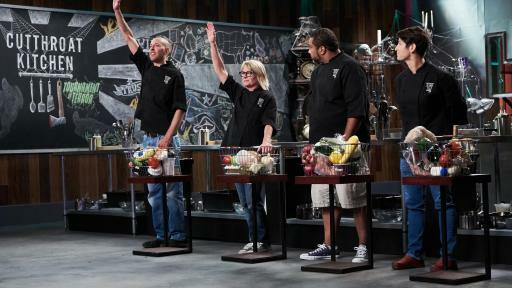 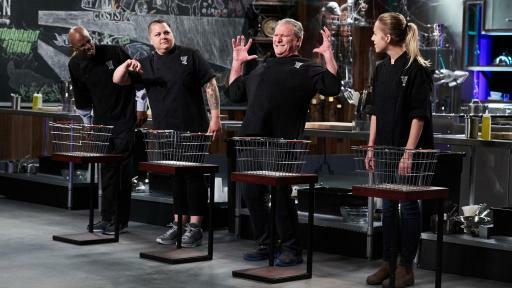 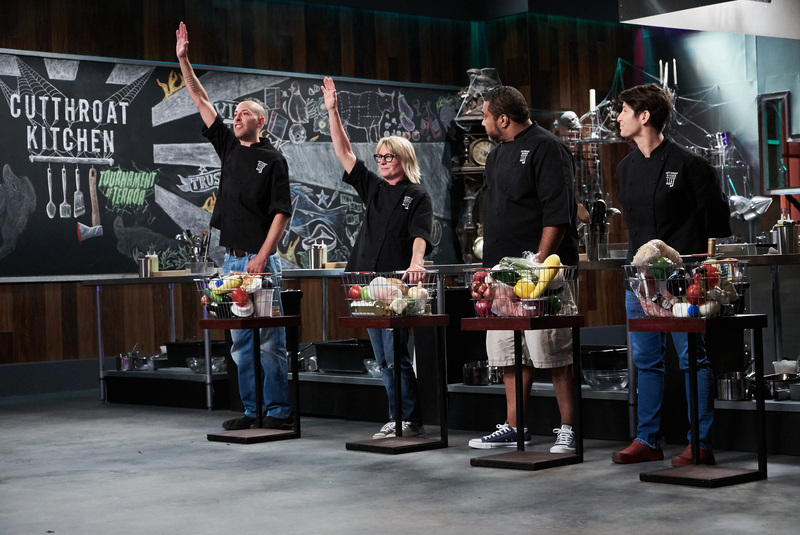 The four heat winners return for the tournament finale, which begins with the chefs shopping for Bloody Mary ingredients in a dark, haunted pantry. 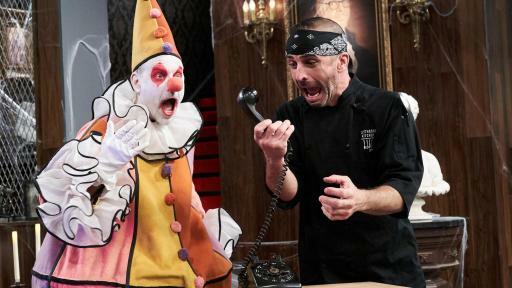 Then a bone-in dish must be prepared on a flaming organ, followed by a candy challenge on a possessed, spinning bed. 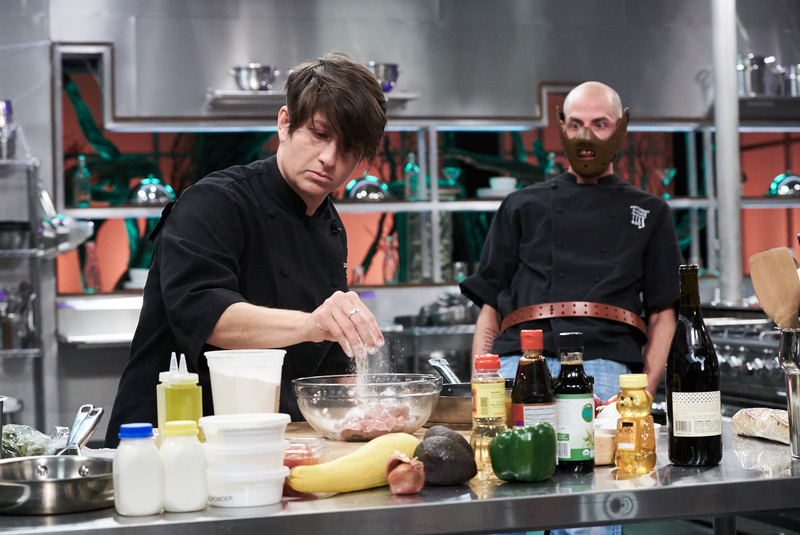 The last chef standing is named winner of the Tournament of Terror. 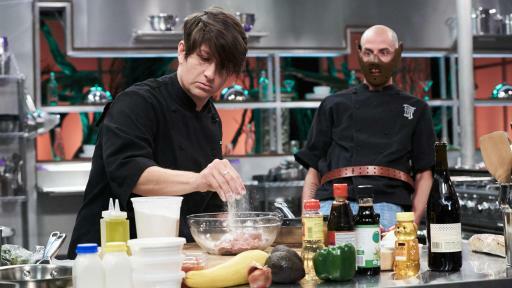 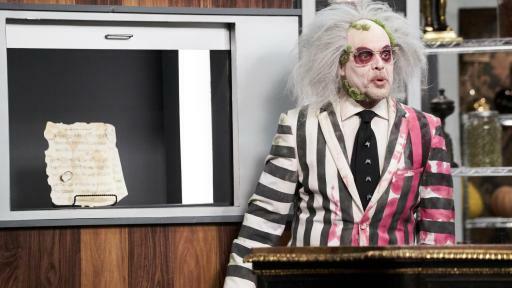 Viewers can get an extra taste of terror with behind-the-scenes photos and videos at FoodNetwork.com/Cutthroat and Alton’s After-Show, where he reveals the sabotages to the judges and they just may give them a try. 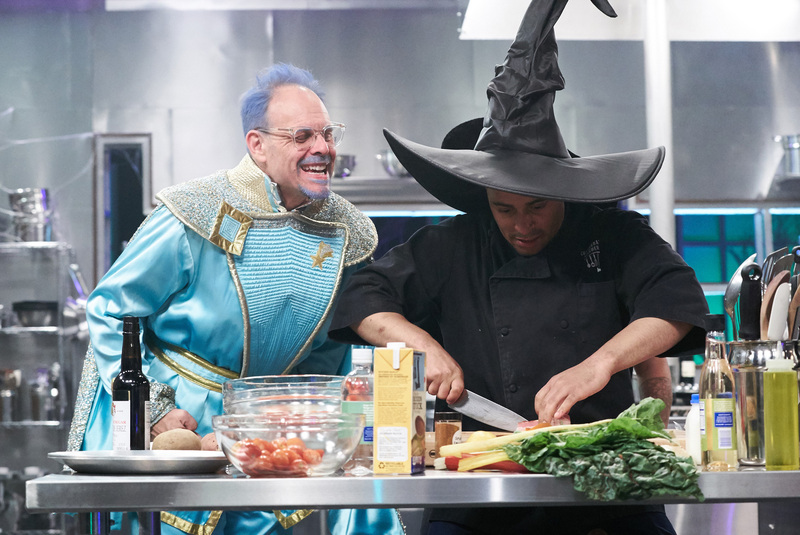 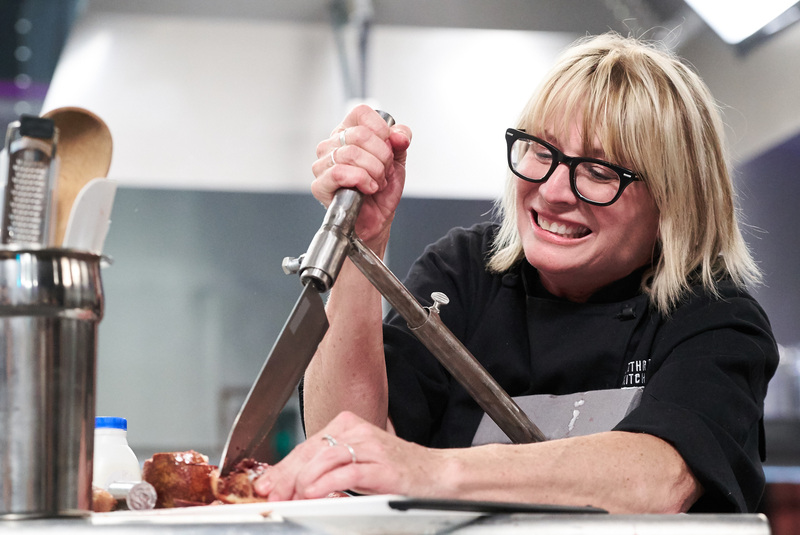 Join the conversation on Twitter using #CutthroatKitchen. 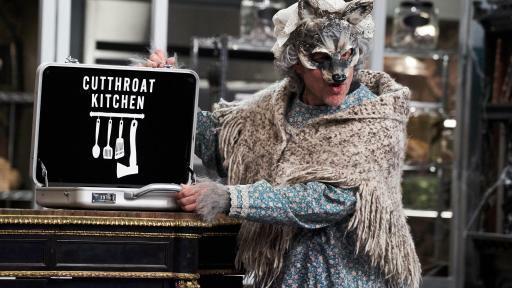 Cutthroat Kitchen: Tournament of Terror is produced by Embassy Row.